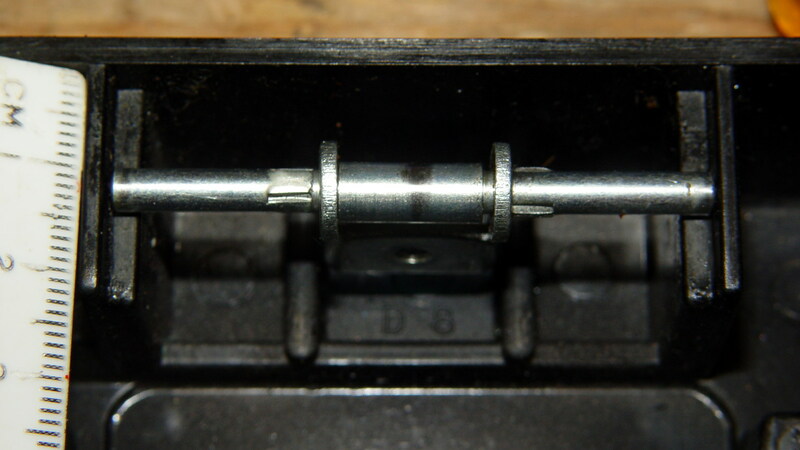 The top cover pivots on small studs that lock into the front of the case. A projection on the cover passes behind the bar near the top of the picture and presses the roller forward as the cover pivots downward under foot pressure. 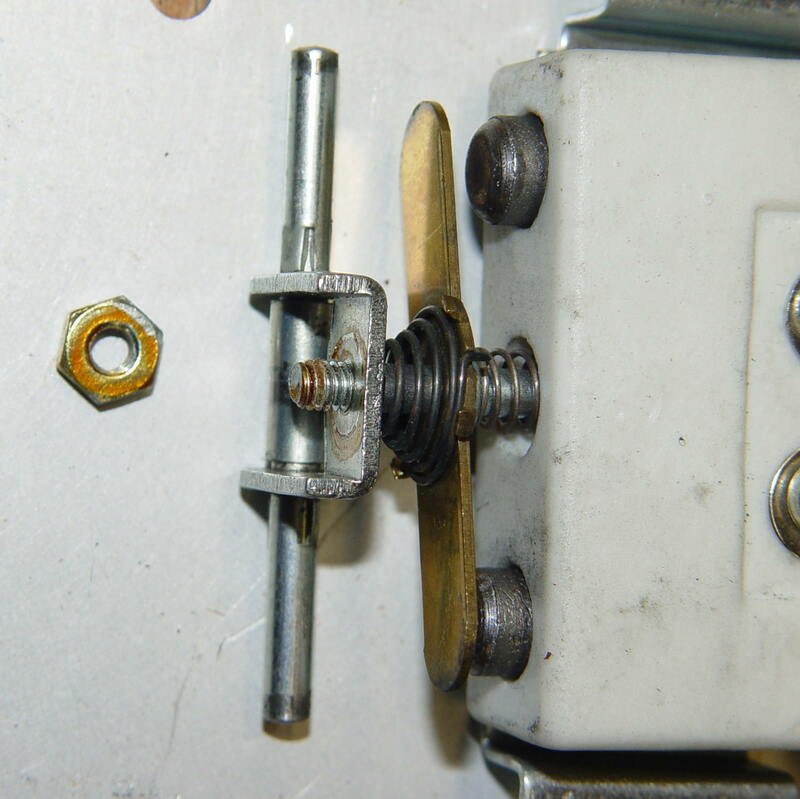 The conical spring compresses about 4 mm after the brass plate contacts the buttons and has about 2 mm of overtravel after the shaft touches the full-speed contacts. 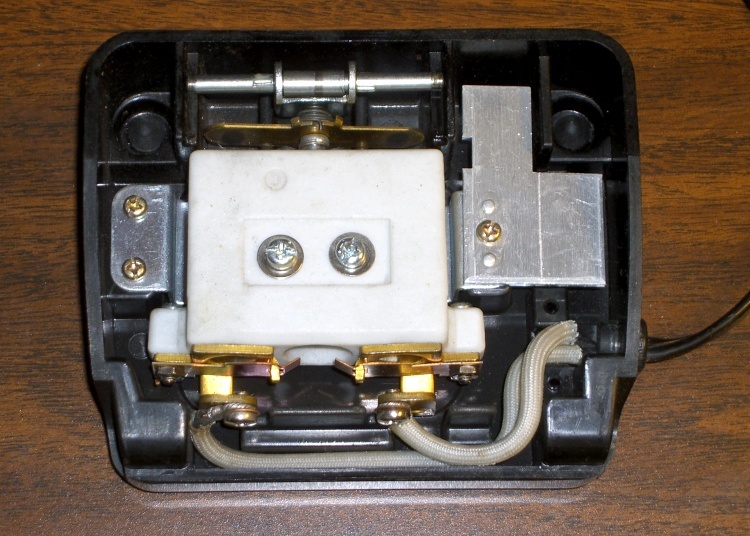 The carbon rheostat in the crash test dummy machine’s foot pedal works better than the much-repaired one from Mary’s machine, with smoother low-speed control and slower starts. The resistance varies from about 1 kΩ with the most gentle of button touches down to about 30 Ω just before the full-speed contacts close. That’s across 4 mm of travel, so it’s rather sensitive. Most of the range seems to produce 300 to 50 Ω, more or less, kinda-sorta. Which explains why my repairs were unavailing: the carbon piles must produce the proper resistances as the bar travels over that short distance. Changing the pile length, as happens when the disks erode and I rebuild parts, changes the resistance.